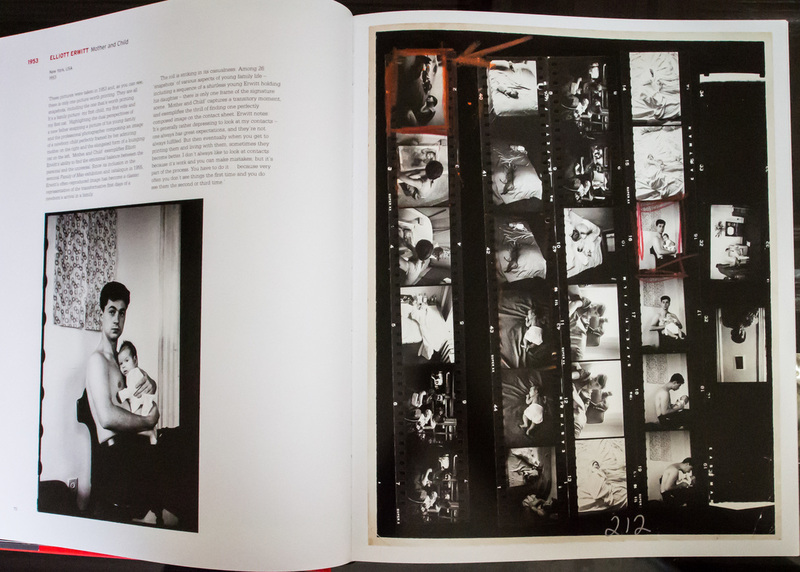 There are a handful of photography books which are and will always remain classics. Their print quality, selection of photographs and information captured transcend time. 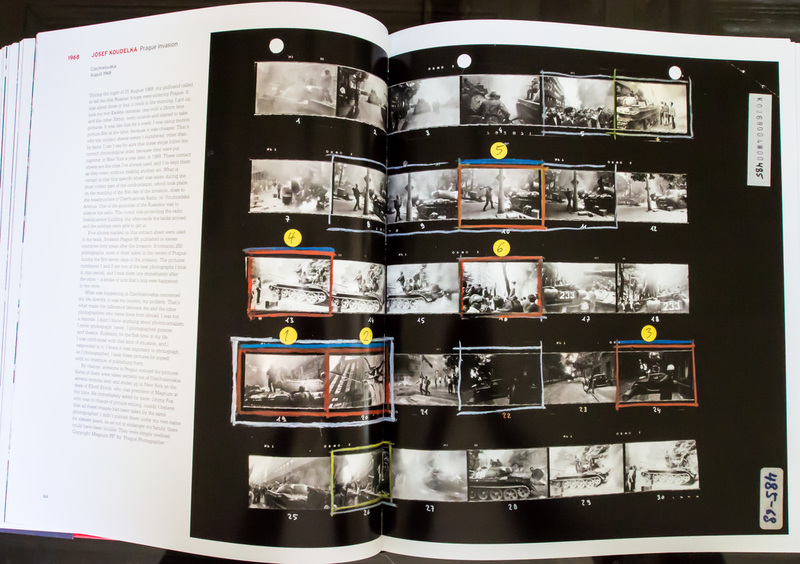 Magnum Contact Sheets, there is nothing more to be said beyond the title alone. Imagine, being able to sit down with some of the best photographers who have ever lived and look through their images leading up to the iconic photograph they are known for! This book does just that. Sunday early morning, the kids and wife are still asleep except for the youngest who jumps out of bed, rubbing his eyes worried he will miss out on something. This is the fate of the third child, always rushing to catch up with the older siblings regardless of what awaits. I put on some early morning cartoons for him to watch with a bowl of cereal to eat. I set the kettle on the stove and prepare a cup of tea. Sometimes it is coffee but mostly tea. Today, however I am feeling nostalgic and will prepare some mate. The bitter taste reminds me of long, lazy mornings chatting with family before a relaxed day. Mate ready I settle at the kitchen table, more familiar than comfortable and open up one of my favorite photography books. Today it is Magnum Contact Sheets. Here in the quiet of the house with faint murmurs coming from the cartoons the youngest is watching, I sit in the perfect morning light to look over the work of some of the greatest photographers in the world. Here, in this book I can read what they were doing and thinking when the images were taken, I can look to see the shots that did not make the cut, I can see the photographer moving, snapping away and thinking...horizontal, vertical...no...move it here...composition is almost there...background too cluttered...need a simpler shot....there it is....click and got it! I can hear them thinking. I can see what they are shooting and I can see why the image finally selected is the strongest of the lot. Here is Robert Capa, towards the end of World War II, as the allies push their way into Italy. One of his most famous shots of a machine gunner laying in the spreading pool of his own blood. The trees visible through he window, the chair inside the room of an apartment and the reflection in the mans blood. The photograph seems so silent, devoid of life. It could easily be a shot of a vase with some flowers in it. But it is of a young life cut far too short. There it is, cold and clear the terror of war and the high cost even in the final days of the war. But the image floats, along and without understanding. We can guess what happened but the single image is not enough. What happened and why? There is his contact sheets. You can see Capa used a 35mm and a 6x6 camera. He went from one to the other. When up close and moving around he seems to prefer the 35mm while when he has the change to stage something he opts for his medium format. Koudelka, the invasion of Prague 1968. They knew that the Soviet's were coming as it was reported over the radio long before they entered the capital. The streets were deserted in the middle of the day as everyone waiting for the military force to enter the city. The single image of a wristwatch under the view of an empty main avenue, silent, waiting. Something is about to happen but without background information we do not know what. We can feel the tension, the empty street, the tight fist and the undeniable passing of time. 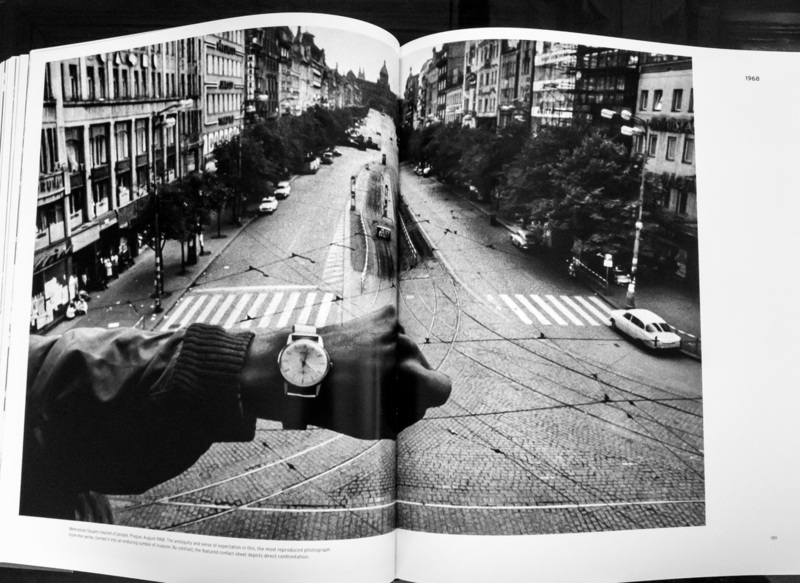 Koudelka was there to capture the break in the tensions as the people of Prague went out to face the invaders. Here Koudelka, shooting cinema film that had to be loaded in a darkroom, ran out of his apartment capturing as many images as he could and as his film ran out, he would run back inside his darkroom to refill the camera. You can see his movement, the action and gestures frozen in time as a defiant but scared people faced the tanks and guns of their invaders. You can see their faces, the anger and frustration. 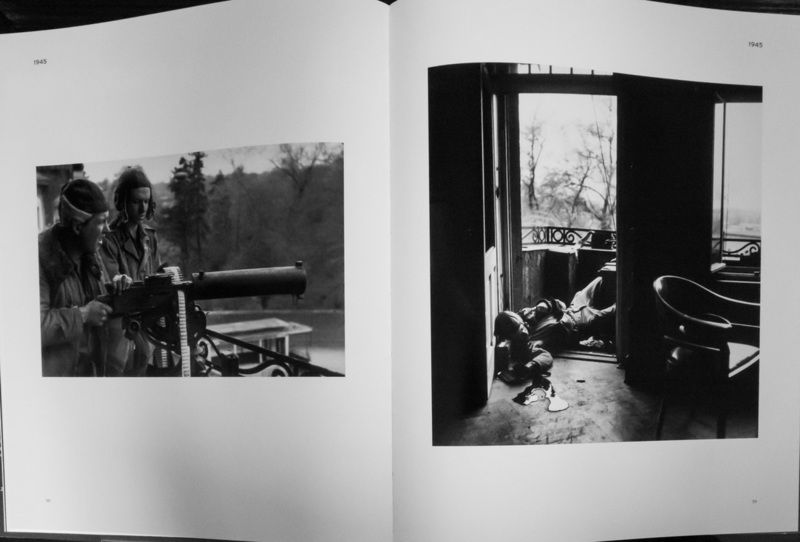 But you can also see "PP" (Prague Photographer) move about his people and capture the images. You can see that he wants to be among them but he also knows that the only hope Prague has is international help to push out the Soviet's and their puppet allies. Elliot Erwitt, a photographer known for his funny photography. A man who has an ability to find the funniest moments in life and capture them in such a unique way. What a gentleman and what and amazing photographer. But here we do not see the funny side of life. No, here we see that tender moment of a new born child laying in bed, framed with the loving look of a mother and the pet cat. The light coming in from the window, highlighting a peeling wall and the furnishings of a young family just starting out. That look in the mothers eye, so powerful, so full of love. This image was selected by Steichen for his exhibit "The Family of Man" and I see why. 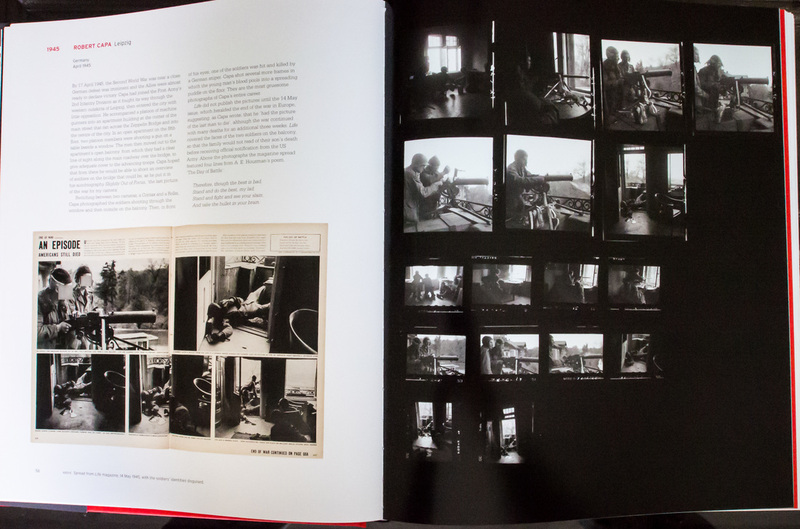 Here, on Elliot's contact sheets, we see the instant capture of the image unwoven. Here we see the bath, the snap shots of a happy family moment being captured because they are happy. We can even see Elliot's first wife pick up the camera and shoot images of the young father with his first baby girl. We see that they are all just like the images on my hard drive of my wife and kids. Snap shots that mean so much to us regardless of their lack of artistic style. 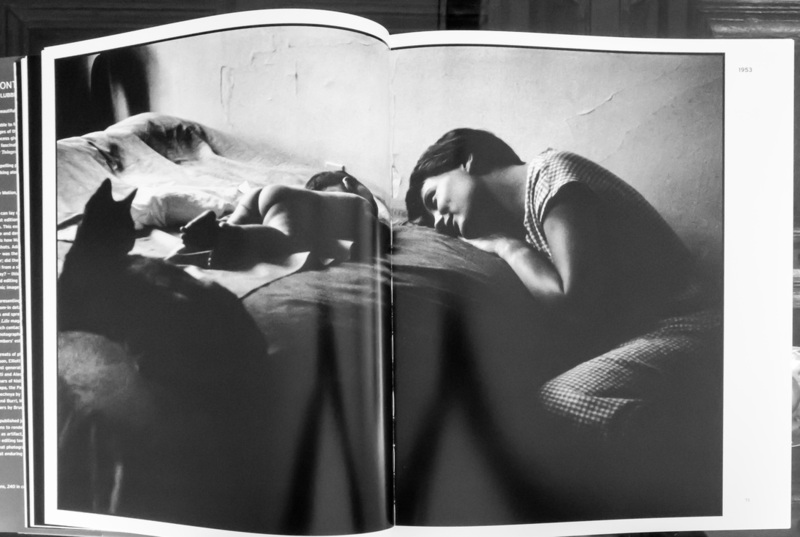 But as our eyes follow the snapshots Elliot took we are brought back to that single image of a mother's love. That single perfect image was not born alone, it was 1/125th of a second of a happy family moment so brilliantly captured. Sanguinetti, a photographer who has spent a great deal of time in Argentina. Her images of a rural family, particularly of two young friends are a reminder of friends and family back in Argentina. 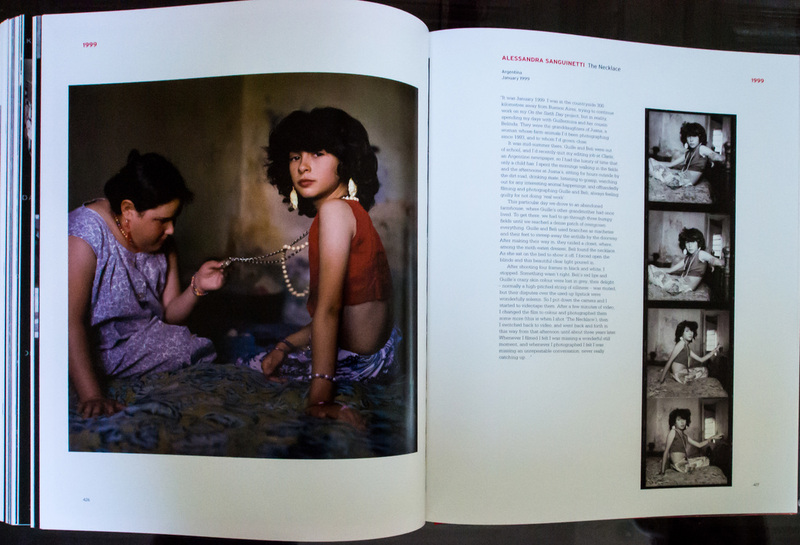 Here Sanguinetti captures a series of images of the two girls in B&W. Each images is wonderful but all seem to lack something. Sanguinetti senses it too. She starts filming some video but soon puts it down as well. Something needs to change, the light is perfect, the moment and gestures are there...but something is not. The roof squeaks with its warning of movement upstairs. My wife has woken up along with my daughter. They are making their way downstairs and soon the youngest will hear his mothers voice and come running into the kitchen. Pandemonium is about to start with three hungry kids running around the kitchen, fighting for the attention of their mother. I love that pandemonium, the sound of life being lived. I close my book, heat up some more water and change out the tea getting ready for our traditional Sunday morning conversation with the wife. Errands to run, vacations being planned and family events to catch up on. The conversation of life being lived. 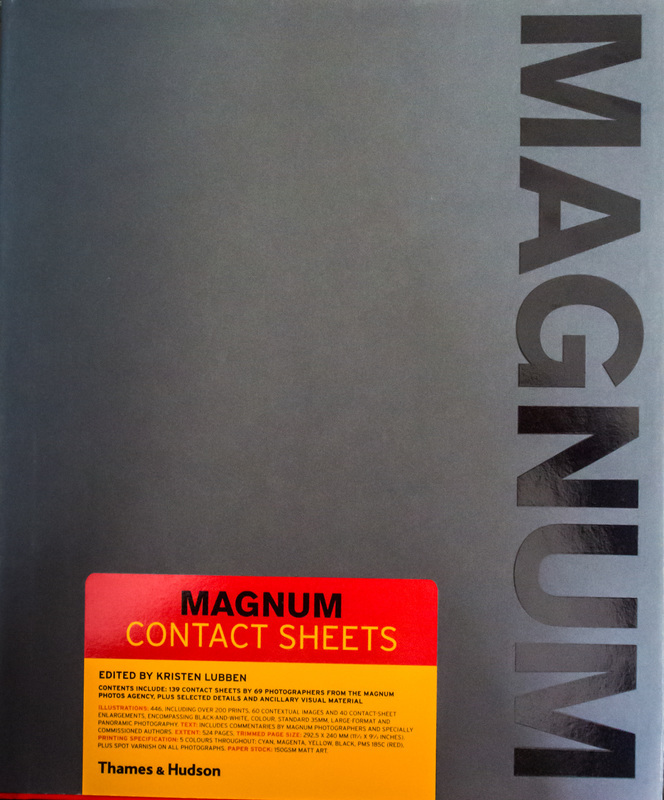 ​Magnum Contact Sheet is a unique book. It takes you away to a different time and place. Its photographers walk you through their images and the contact sheets shows you what they were thinking. There is minimal text but with a bit of background knowledge the trip to these places is all the more rewarding. This book is a must own for anyone who loves photography. It is a masterful undertaking that is worth the price several times over.